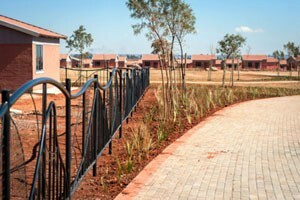 If you are looking for the best location for your new home in Johannesburg, look no further. Lehae is centrally situated and an ideal place to call home for anyone travelling between Alberton, Soweto, Johannesburg’s CBD and the Vaal. Located in the southwestern quadrant of the intersection of the Golden Highway and the R554 road to Lenasia, this is the perfect place to call your home. Lehae is one of Gauteng’s newest and most promising suburbs, located next to Lenasia and about 20-minutes by road from Johannesburg. Lehae is close to several major roads, including the Golden Highway and the N1. There are a number of mosques and many churches in the vicinity. Schooling options include Lehae Primary School, which opened its doors in 2007, Siyakhuliswa Educare and Preschool, Nirvana High School, Park Primary School and Greyville Primary School to name a few, with even more schools still planned for the area. In line with the City's Integrated Development Plan and its objective of building liveable cities and not just rows of houses, a state-of-the-art library will be built in Lehae, the rapidly expanding new community near Lenasia in the south of Johannesburg. A site has been chosen and the city is in the process of clearing away rubble and refuse that has been dumped there over the years. Construction is slated to begin in February, with a planned handover for December 2016. The design for the state-of-the-art community library was a collaborative effort involving the Johannesburg Development Agency (JDA), the architects and the City's librarians. We gave the people who were going to be working in the building a chance to help design the building," says Humbelani Mudau, development manager at the JDA. "The entire structure is designed around their experiences and understanding of what makes a good library environment." The architects were also asked to design a building that would be welcoming to the community. The final design accordingly makes room for large open areas for children to play in and for students to access information, while enabling community use of the space through various enclosed spaces. "It's not a static space," Mudau says. "It is designed to grow and change as the community changes around it. We are building a multi-use and multi-function hub where the community can discover, learn and play." Like all new communal structures the City is building, the Lehae library will be as energy-efficient and environmentally friendly as possible. It is designed to cut down on electricity usage by including large windows for natural light and a ventilation system that cools the building without air conditioning. Orientated toward the path of the sun, its slanted roof will house solar panels that will power the library's information systems. At the same time, the design caters for rainwater harvesting as well as a "grey water" system that will recycle water internally to irrigate the landscaped garden and play areas. Budgeted at R10-million, the Lehae library project will use local labour and businesses wherever possible. As Mudau points out, "All JDA and City development projects ringfence 30% of their budgets for local SMMEs, and it's no different in Lehae." At the point where the R554 and the Golden Highway intersect, the City of Johannesburg, with the JDA taking the development lead, is building a new community. What was once wasteland will, once completed, be a community of 5 344 households in a liveable, sustainable mixed-use neighbourhood. The City will build four schools - two primary and two secondary - and four crèches in close proximity to six proposed community centres in Lehae. Partnerships with provincial departments of education, sports and recreation, housing, local government and health will result in the development of a balanced living environment, in which residents can shop, play and interact with the City from within the borders of their own neighbourhood. At the same time, the area, which is situated about 30 kilometres south of the CBD, is being developed as a separate economic hub for the region, with an overall design that includes four separate sites for local businesses. As former executive mayor Amos Masondo remarked in 2010, when the City handed over the first batch of title deeds in Lehae: "We have proudly seen this centre grow into a multi-purpose, functional hub for the community."